When you are thousands of miles away from home, you can miss a lot of things: friends, family, Chick-fil-A. Tonya Portmann is an active duty service member in the U.S. Navy, currently stationed in Okinawa, Japan. She, along with her husband and two sons, moved there last August, leaving behind their home in Virginia. 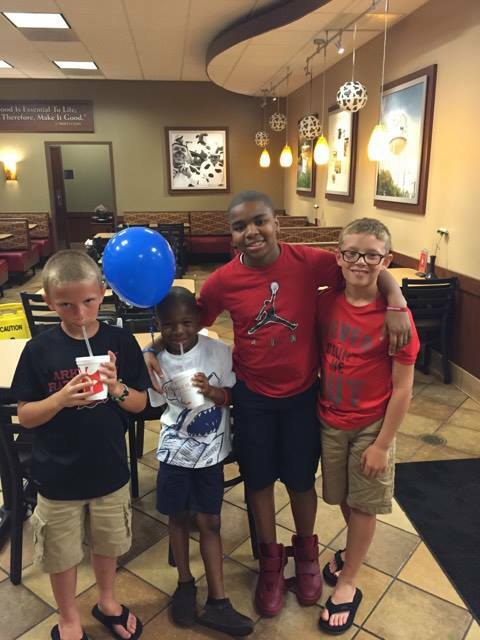 And for Portmann’s nine-year-old son Carter, that move also meant leaving behind his favorite restaurant, Chick-fil-A. 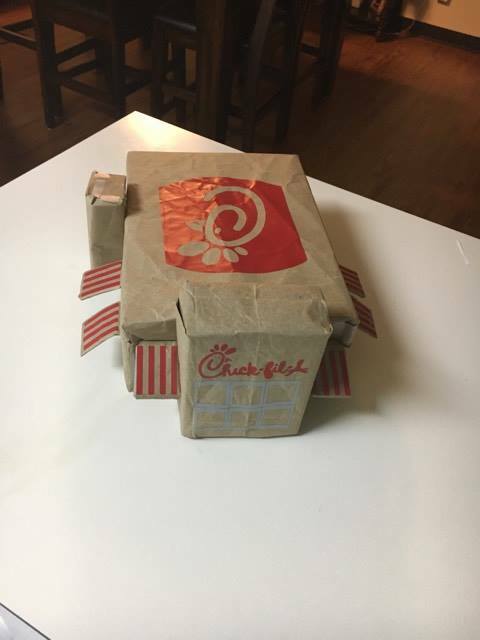 On February 13, Portmann reached out to Chick-fil-A on Facebook to show off her son’s Valentine’s Day project: A card box that he created to look like a Chick-fil-A restaurant, complete with a logo on the roof, red striped window awnings and a drive-thru. 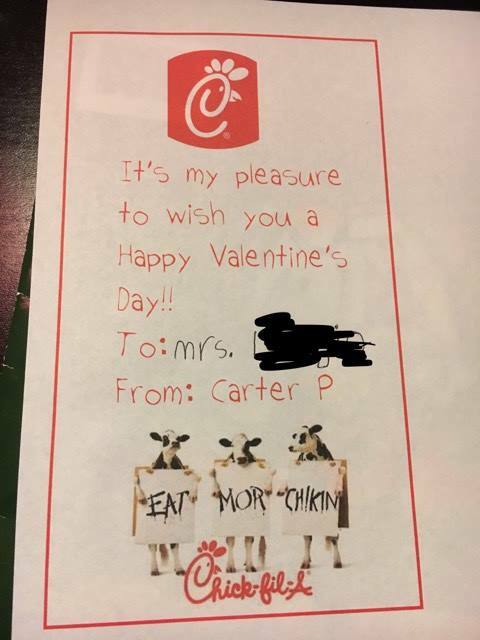 It turns out that the Portmann family has a longtime love of Chick-fil-A. Before moving across the globe, their local restaurant in Suffolk, Virginia threw the Portmanns a going-away party. 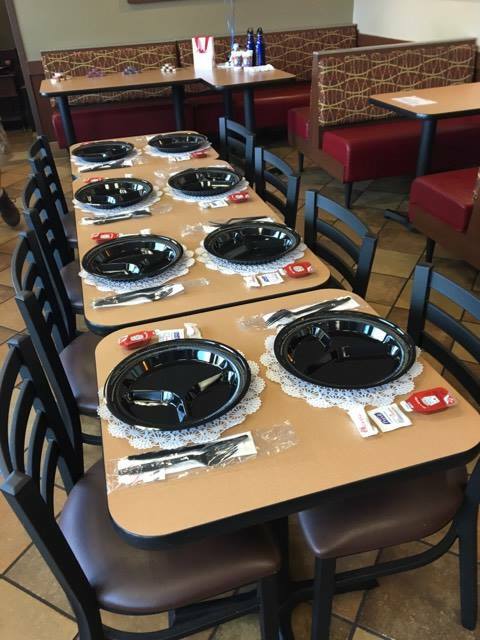 And before her career in the Navy, Tonya Portmann worked at a Chick-fil-A in Midland, Texas, during high school and college. She even went on to receive a Chick-fil-A scholarship in 1999.